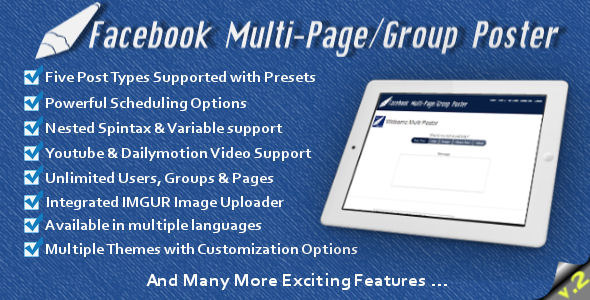 2 items tagged "Facebook Poster"
Facebook Multi Page/Group Poster (FBMPGP) is the easiest yet versatile way of publishing to unlimited Facebook Pages and Groups. 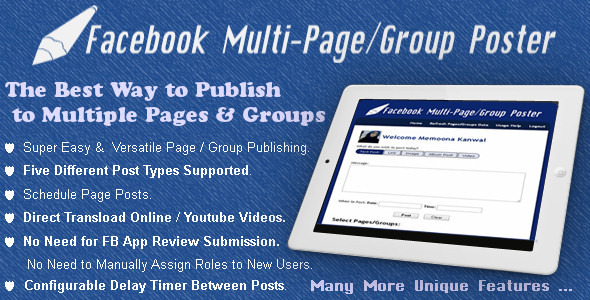 Quickly post your content to all or a selection of your Groups and Pages. FBMPGP gives you the best way to market your business products, promote your Facebook Fan Pages, Business Pages and Personal Pages and to obtain a boost in your Facebook campaigns, traffic and likes.